Dayo Wong says that co-star Charmaine Sheh has a breakthrough performance. She even makes herself ugly. Dayo Wong Tsz Wah, Charmaine Sheh Sze Man, Larine Tang Yueping, Deon Cheung Chung Chi, Lam Suet and Tang Siu Juen last night attended the film AGENT MR. CHAN (DUNG DUK DUT GUNG)'s wrap banquet. They opened bottles of champagne on the stage to celebrate. Tsz Wah said that two months went by in the blink of an eye and the production ended. He also said that this time he called in all his favors and wanted to take this opportunity to thank everyone officially. "Originally this film needed two superstars, but in the end ten times that came. I really appreciate them for rescuing me from being the box office poison again. They have very charitable hearts, treating me like a pet." Did he exceed the budget because of that? Tsz Wah thanked some friends for not even taking lai see. Did he mind being called the box office poison? He said, "No, I am a realistic person. This to me instead is pretty comfortable, but I hope this one won't be because everyone put a lot of hard work into it. A lot of friends are very supportive. Ah Sheh also has a breakthrough performance." Ah Sheh revealed that in the film she had several costumes, one of which was ugly. 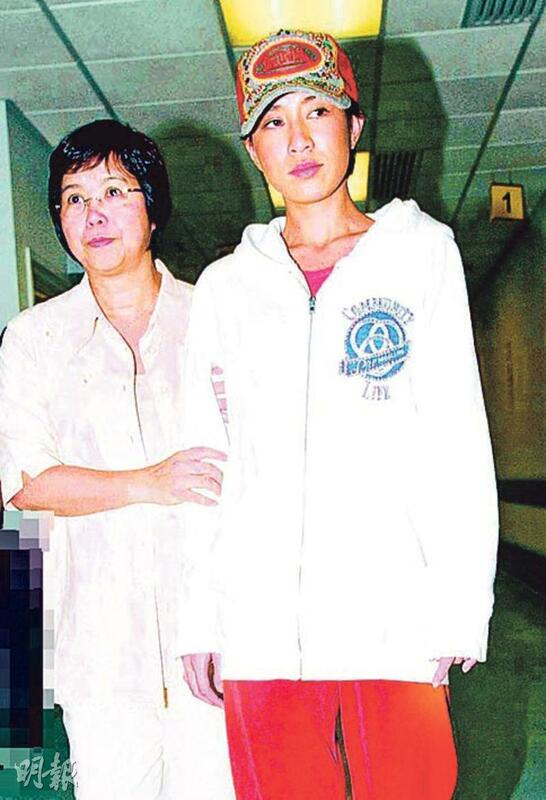 Tsz Wah said that it was not very ugly, only that everyone has not seen Ah Sheh like this. It was another Ah Sheh. Did Ah Sheh play ugly for the one and only time to help Tsz Wah rid of the box office poison title? Ah Sheh said that actually it was cute. 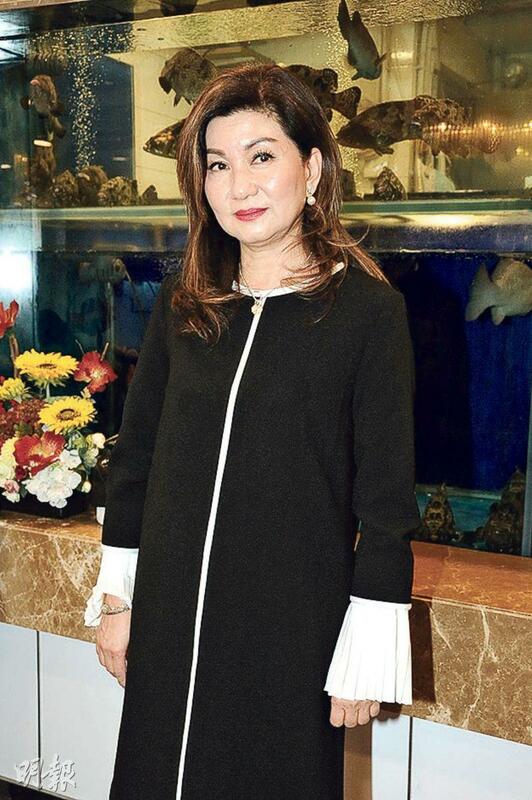 Tsz Wah said, "It rids of the original Ah Sheh, she has lot of potential." Speaking of Tang Yueping removing his belt in one scene, he said that he saw how hard working she already was. The belt indeed was very hard to undo. Did she touch "Little Tsz Wah"? He said, "I think I have already passed this stage." 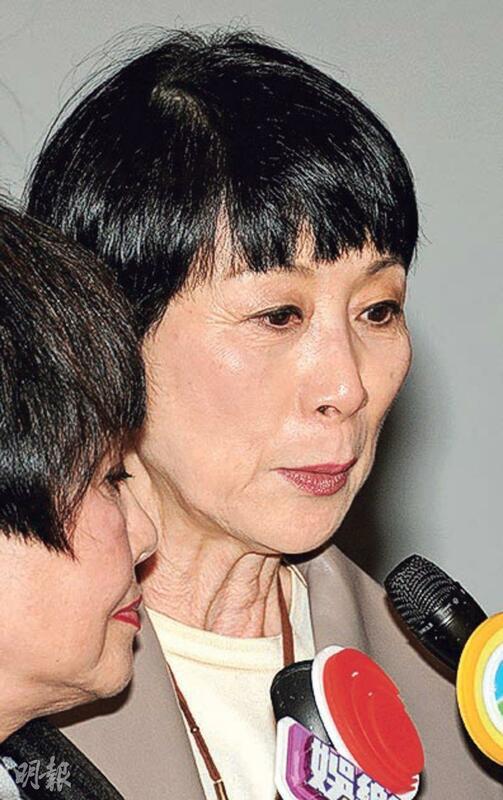 Ah Sheh revealed that she would step on "Little Tsz Wah" with her heel. Tsz Wah said that he took all the protection and precautions. 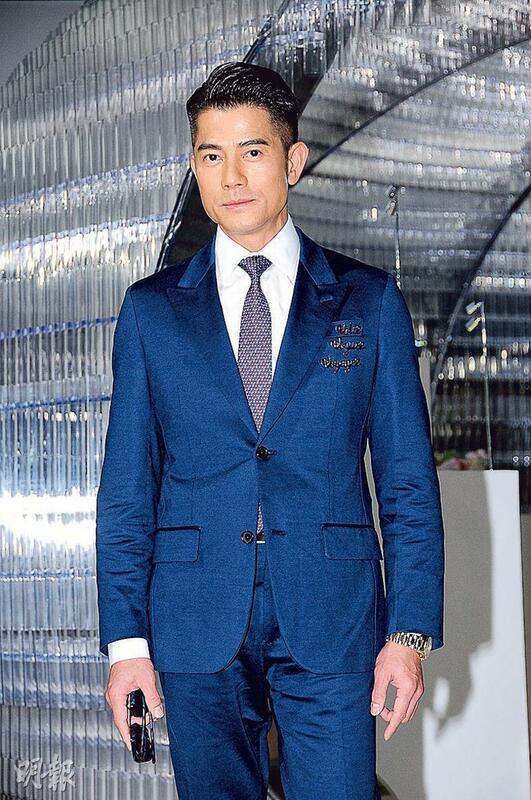 Cheung Chun Chi grew facial hair for his Fox wed drama TRADING FLOOR and new film MO SEUNG. He said that the film MO SEUNG has already begun production. In the film he had many scenes with his idol Chow Yun Fat. Did he see Sing Sing on the set? He sad that last time at the table read he already congratulated him. What did he congratulate him on, becoming a father? He sad, "Congratulation, just congratulation! We are very ambiguous. (Did he ask you about a name?) No." He also said that Sing Sing was very professional on the set, he did not make any sweet calls. 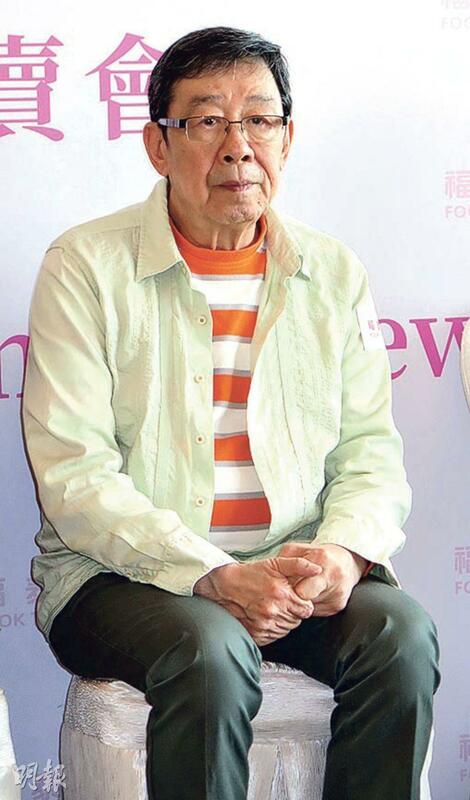 Earlier fainting on the set, Lam Suet was asked about his current health. He said energetically, "No problem, OK! The doctor said that I was too lazy (to exercise)." 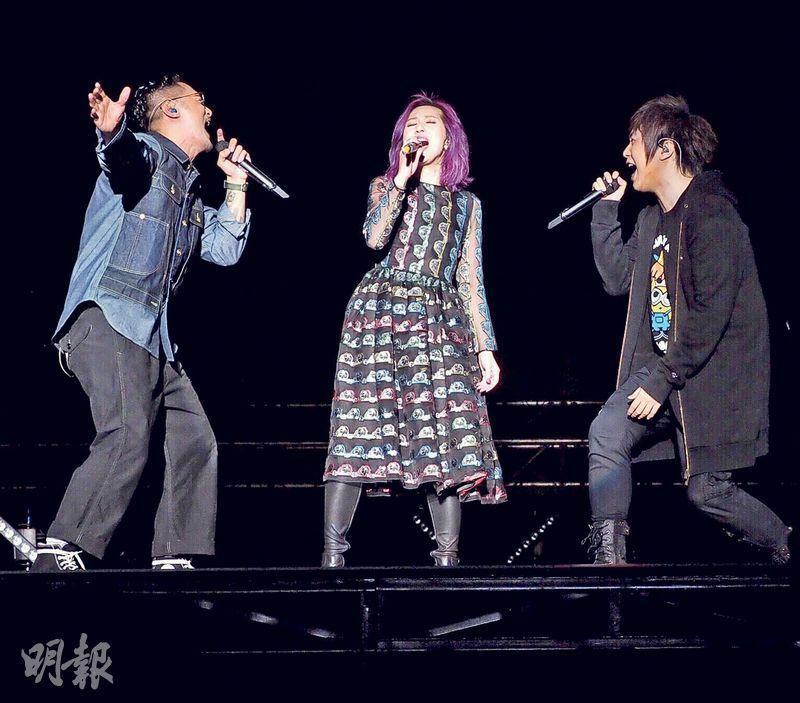 Always wanted to appear from the stage elevator, Shawn Yue Man Lok earlier while guest performing in Miriam Yeung Chin Wa's version of WHEN I THINK OF YOU and its music video stated that his compensation would be raising to the stage at her concert once! Two days ago Lok Jai fulfilled his dream early. The stage was Mayday's Dalian concert. He performed in front of over 400,000 viewers. Lok Jai excitedly jumped from under the stage with Chin Wa in tow. Chin Wa joked that after 8 years of knowing him, she has never seen Lok Jai this cute like a young girl! 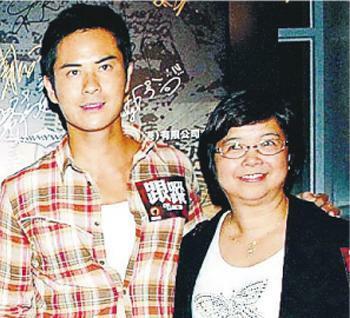 The birth of on screen couple "Jimmy Cheung" and "Cherie Yu" came from Mayday's Taiwanese song CHI MING AND CHUN GIU 8 years. 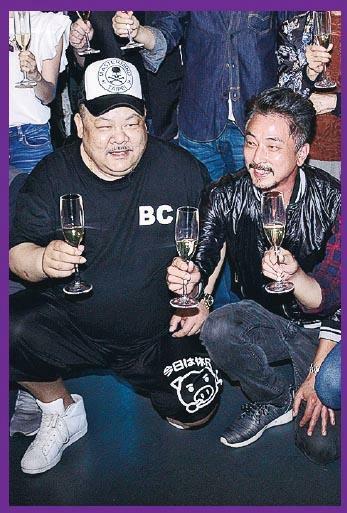 This year with the third film LOVE OFF THE CUFF (CHUN GIU GAU JI MING) they finally got together! 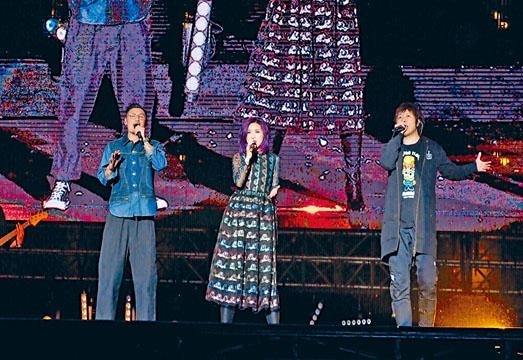 Two nights day at Mayday's LIFE world tour Dalian stop, "Jimmy Cheung" Yu Man Lok and "Cherie Yu" Yeung Chin Wa were mystery guests. After Ashin sang two verses of CHI MING YU CHUN GIU he introduced them. The audience broke out in screams. After the performance, Lok Jai excitedly said on the stage, "Many first time of my life took place today. I never thought that I could be Mayday's guest, this was the first surprise; the second surprise was I never thought that I would be in Dalian, singing in front of so many people. Thank you!" Chin Wa thanked Mayday. "Because of your song, Cherie and Jimmy went from words and music to living in our lives." Lok Jai said, "Because without your song this movie wouldn't be here. Have you thought that Chi Ming would look like this?" Ashin said, "You are prettier than we imagine." Chin Wa said that 8 years ago when they made the first film, she never thought that she would be able to participate in Mayday's performance. 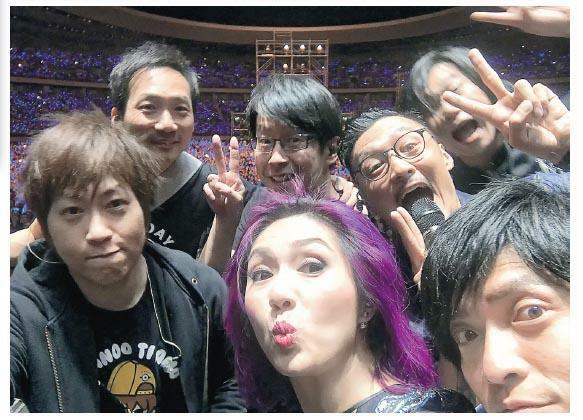 It was very worth remembering, so they took a selfie with the audience. Later Ashin said to them, "Today we come to 'Life Co. Ltd.' you can't punch the card to get off work so easily. You have to sing a song, so everyone would be willing to go to the movies to show their support." Lok Jai said, "I don't know if they would want that? I am afraid it would affect their mood, are you certain it's OK? Don't yell at me if I don't sing well!" Then they again sang Mayday's SUDDENLY MISSING YOU SO BAD. Over 400,000 viewers waved their glow sticks and sang along. Before the show, Chin Wa and Lok Jai signed "Cherie Yu" and "Jimmy Cheung" on the LOVE OFF THE CUFF original soundtrack and presented it to Mayday. They returned the favor with their autographed record. After the show, Chin Wa was still excited. He softened his stance from earlier when he declined to sing again. "I really have never performed at a concert with so many people, it was very high, very happy, I was very reluctant to leave. I hope to do it once in Hong Kong!" Chin Wa also said that she was very happy. 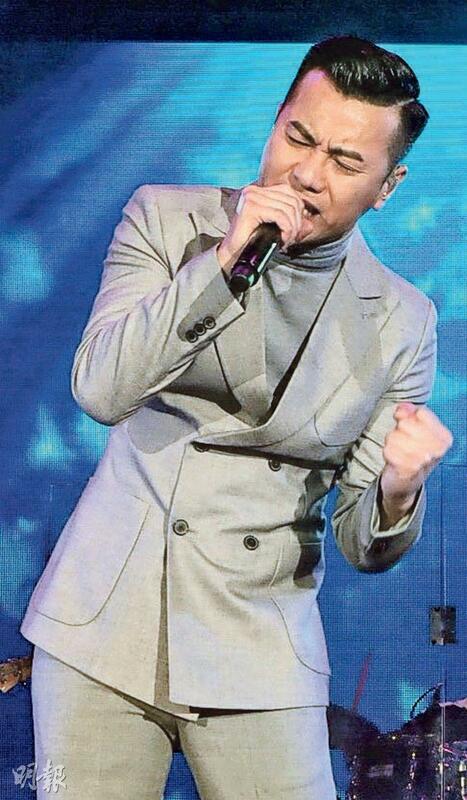 "I never thought that Jimmy Cheung and I would be guest performers at Mayday's concert. Because Chun Giu and Chi Ming came from Mayday's song, today was our first reunion in 8 years. It was very touching. I wish I can start a concert now, even going to the karaoke box now. However I have to keep promoting." 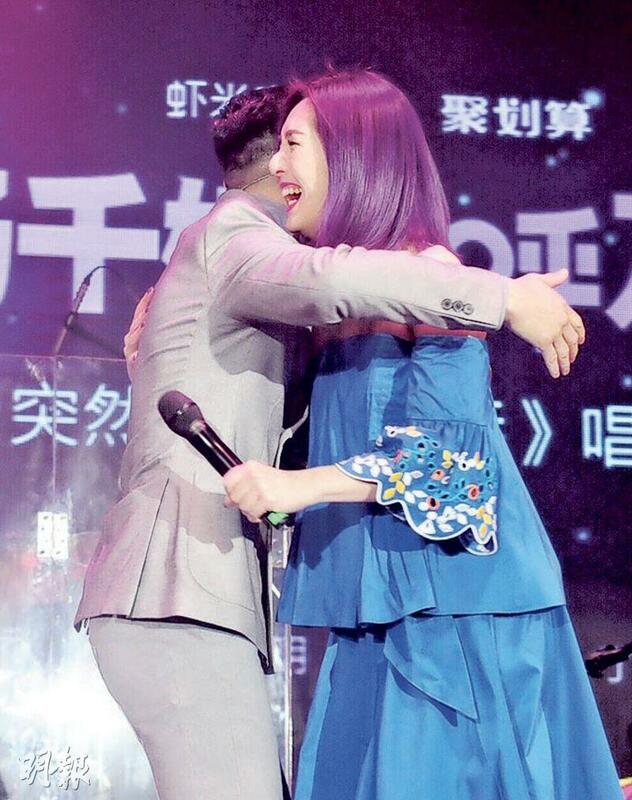 She revealed, "Yue Man Lok is very happy, he was backstage jumping from the room to the stage, skipping like a young girl. My mouth was wide open, it really was a great happy discovery. After 8 years of knowing him it's the first time I saw him like this, it is an unusually memory that would be hard to forget!" 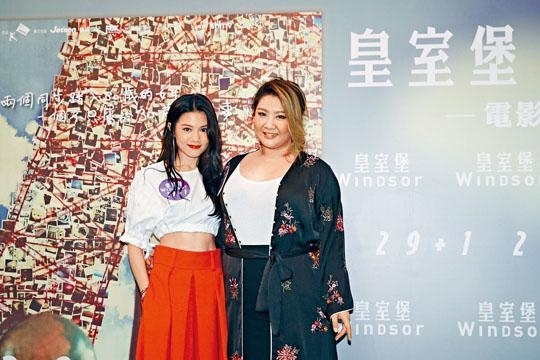 With the success of the new film LOVE OFF THE CUFF (CHUN GIU GAU JI MING), Miriam Yeung Chin Wa took "Cherie Yu" and "Jimmy Cheung"'s classic line at their convenience store from the first film and had a little fun with the Hong Kong and Mainland box office. She said, "Mainland box office was over 60 million (RMB), Hong Kong box office broke 6 million (HK$), Yue Man Lok is called 'Uncle 6'. With three 6's in this hand, what am I waiting for? Ah Lok is also called 666, I have to thank 'Lok Gor'!" Lok Jai stated that the team put their hearts into making the movie and promoting. 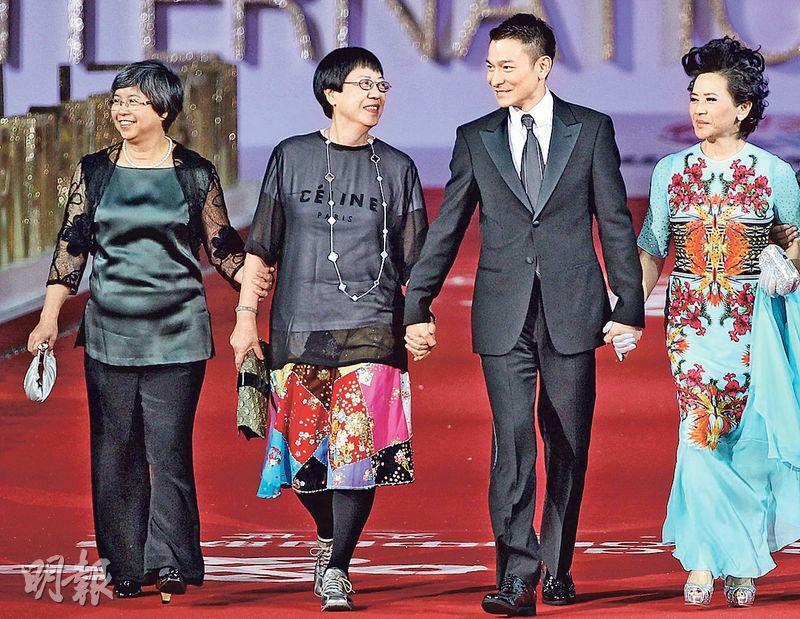 For days he, Chin Wa, the director and actors split up to promote. The box office success was very encouraging. 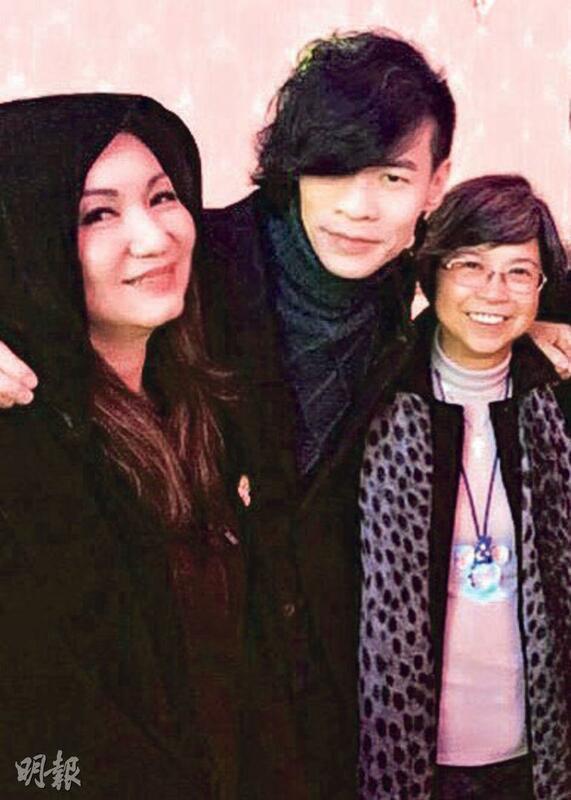 Lok Jai's girlfriend Sarah Wang went to the movies with a big group of friends to see LOVE OFF THE CUFF while Lok Jai flew to Dalian for a show. Later Sara Wang posted on instagram, "We watched a great movie! #Jimmy is very manly #great" Lok Jai immediately replied, "I know". 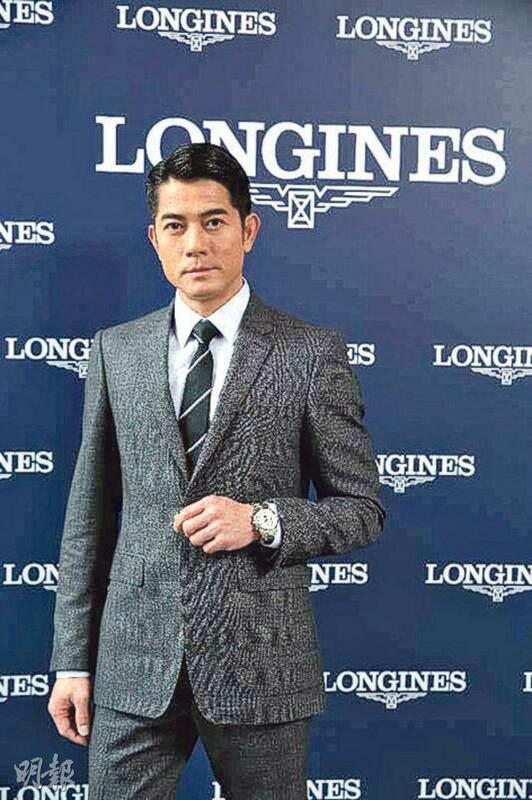 Aaron Kwok Fu Sing yesterday attended an equestrian championship event in Shanghai. A brand presented special wedding gift to Sing Sing. When asked about his wife's pregnancy rumors, he only smiled and said, "Thank you everyone." Then he revealed that he will work with Chow Yun Fat on another movie. He would be too busy to have a honeymoon. He said that the new film will be Felix Chong Man Keung's film. He said, "This would be a new genre film. The script took a very long time to create." As for working with Fat Gor, he said, "I look forward to it very much because Fat Gor hasn't made this genre in several years. To me and Fat Gor it will be a new attempt. Hopefully we will be able to set off different spark." The film LOVE OFF THE CUFF (CHUN GIU GAU JI MING)'s box office exceeded HK$ 3.6 million after two days in Hong Kong release. In the Mainland two days ago it opened and made 46.15 million yuan RMB. 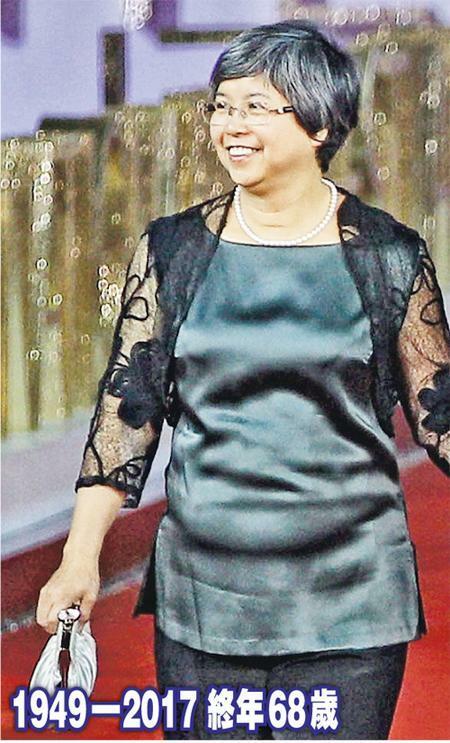 Two nights ago Miriam Yeung Chin Wa performed in Guangzhou. After learning that the box office took off, she was so happy that she stopped her duet with guest Edmond Leung Hon Man four times. Edmond thought that he was on a prank program. Leung Hon Man and Chin Wa performed the argument song GET LOST. He told Chin Wa to foster their emotions together. When the music was about to start, Chin Wa suddenly said, "Actually we are really pretty amazing......" Edmond's emotions was disrupted and Chin Wa immediately apologized and turned to the audience to say, "People sing love songs and become known all over, we become famous for our argument. Isn't that amazing?" The audience cracked up. Then she resumed her performance after calming down, but she said the wrong verse. She started over. Edmond said, "Then I can get into it again!" When the musicians prepared to start the song again, Chin Wa could not stop laughing. Edmond held back his laughter and said, "I can start over again and again, do you need a spotlight?" He deliberately changed the subject in hopes of Chin Wa recovering from her laughing fit, but she was almost rolling on the floor laughing. Edmond helplessly said to the audience, "Would you please stop making her laugh, she will wet herself soon!" The music started again and Chin Wa halted it again. She said, "Now I am not ready!" Edmond rolled his eyes. "Actually is this a prank program? Did all of you get together to play a prank on me?" Chin Wa explained as she laughed, "It seems to be very awkward. We are all very happy (How do you everyone to get you back into the mood?) We had a lot of fun chatting before, suddenly we had to go to the other extreme and argue. I have to calm down a bit first! (Everyone is helping you!) Don't ask everyone to yell at me together!" Then they completed the duet smoothly. [2017.04.29] TAKESHI KANESHIRO DOES NOT RESPOND TO ZHOU DONGYU'S "TEMPTATION"
"God" Takeshi Kaneshiro (Gum Sing Mo) and Golden Horse Best Actress Zhou Dongyu, producer Peter Chan Ho Sun, director Derek Hui Won Yu yesterday attended their film THIS IS NOT WHAT I EXPECTED (HEI FOON NEI)'s press conference. 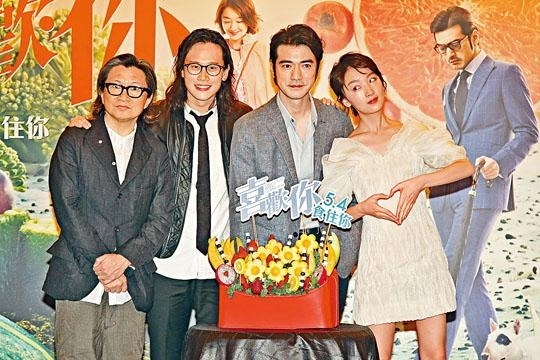 In the film Gum Sing Mo and Zhou Dongyu fell in love over food. Dongyu even daringly said that she wanted to "tempt" the god! Gum Sing Mo immediately congratulated former rumored old flame Charlie Yeung Choi Nei on giving birth to twins, but whether they will work together he will have to see "Director Yeung's" intention. During the photo opportunity, Gum Sing Mo and Zhou Dongyu appeared to be strangers but the latter was energetic, lively and full of expressions. 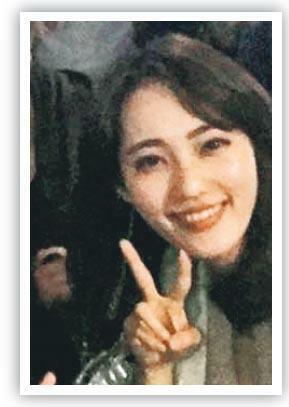 When she saw Gum Sing Mo posing for photos, she kept saying "very handsome" and said in less than fluent Cantonese, "very handsome, I like you". However Gum Sing Mo still did not respond. When the event brought out a fruit bouquet for the ceremony, Dongyu helped herself to the strawberry and lemon without any care. They spoke to the media. Producer Chan Ho Sun called Gum Sing Mo's personality old fashioned. Gum Sing Mo said, "This performance is different from the past. This time the screen writer is very young, and has a lot of young people's ideas. Although it is a romantic comedy, it doesn't try too hard to be funny. (Is it different from your real personality?) I haven't thought about it, I like to eat too but not as picky as the character. However I understand the feeling of being picky." 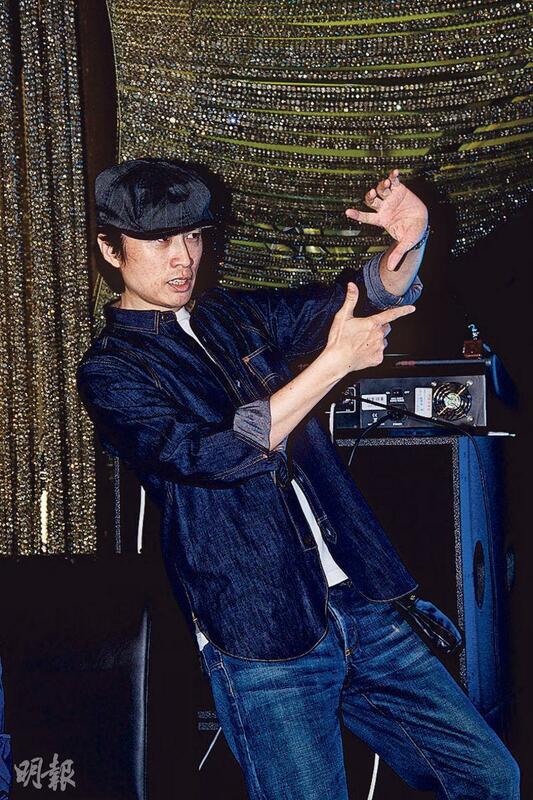 Gum Sing Mo played a perfectionist character, he admitted that at work he was in pursuit of perfection. Playing a chef in the film, Dongyu could not cook at all in real life except for frying eggs and helping Mama with dumplings. She praised Gum Sing Mo as very amazing, being able to make the very hard to eat props appear to be very fragrant and very tasty. She had to learn from him. Dongyu even said that she wanted to seduce Gum Sing Mo. "I give him quiet a headache, tempt a god in a special way. Sometimes I would 'improvise' the performance and not follow the script, which would surprise him. He has a lot of a real reaction and is able to follow up. He is quite cute." Chan Ho Sun immediately explained the "tempt" Dongyu referred to actually meant "tease". Gum Sing Mo admitted that at first he did not know what to do with Dong Yu. He was not used to her way to communicate with acting at all, and the schedule was very tight. However her performance method was very exciting to him. "As long as co-stars can pick up her performance they are still fine. I am very envious that she is able to perform like this. Sometimes I am afraid of interpreting her performance! (Would you like this type of cute girl?) It's possible, anything is possible!" Would Dongyu want to win Best Actress again after working with Chan Ho Sun on SOUL MATE? She said, "Don't say that anymore, this is life." When the event brought out a "fruit bouquet", the host asked them to symbolize love with fruit. Dongyu stated, "I would choose lemon. It looks fresh and bright but when you take a bite, it is very sour like love. (Have you experienced any heartbreak?) Yes, when I was little I didn't get it. This feeling is great for getting into the character. (Would you take the initiative and make your feeling known?) I didn't in the past and I won't now." Gum Sing Mo felt that each fruit could represent love, depending on who he was with. In the end he chose cantaloupe and pineapple, both of which were hard on the outside but soft inside. In addition, Gum Sing Mo's rumored old flame Yeung Choi Nei just gave birth to twins. Would he congratulate her and work with her? Gum Sing Mo was surprised, seemingly did not know that she has become a mother. He immediately congratulated her. "Really? Congratulation congratulation! I rarely read the news so I don't know. (Would you like to work together again?) She is already Director Yeung! Let's see what Director Yeung thinks about that!"